The March 2017 issue of Cry Me A Torch Song – The Video Version. Piers Ford reviews albums from Edana Minghella (All or Nothing: “References that unique phrasing and tone without ever resorting to mere imitation”), Kate Dimbleby (Songbirds: “Completely refreshing and absorbing in these clamorous, noisy times”), Helene Greenwood (Exquisitely Hopeless: “Spacious, dreamy arrangements give way to incantations and spectral echoes”) and Julie KcKee (Light on the Ledge: “Story-songs bathed in nostalgia, yet bracingly contemporary”). Imagine, if you will, a voice with a light jazzy edge reminiscent of Peggy Lee. 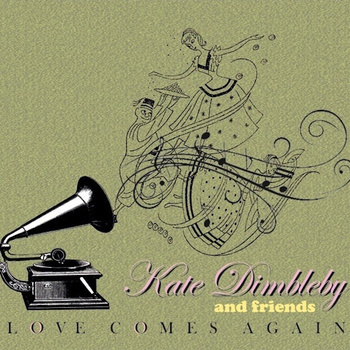 Then throw in a dash of Kate and Anna McGarrigle, burnish it with Joan Baez’s molten serenity, and you’ll end up with something like the sound of Kate Dimbleby. After 20 years at the mic, of course she’s her own woman and comparisons can be fatuous. First and foremost, she sounds like Kate Dimbleby. But I just wanted to give a sense of the range and texture that she has developed during that time – and offer the suggestion that despite her dynastic moniker, she is one of a considerable band of British female singers who should be much more widely known than they are. That’s the curse of a recording industry that is still dominated by a few big labels, a handful of over-powerful executives, and relentlessly compartmentalised marketing. But Dimbleby says that during the course of putting her new album – Love Comes Again – together, she quickly realised that she doesn’t make records or perform for the money. Thankfully, this hasn’t precluded previous success; she has been widely acclaimed for her interpretations of Peggy Lee and Dory Previn songs, in particular. But there is a sense of liberation in an eclectic set of tracks that embraces Simon and Garfunkel, Mahalia Jackson, Rupert Holmes, The Divine Comedy, Cab Calloway and that doyenne of renegade singer/songwriters Kirsty MacColl, without striking a single bum note. This is an album of sparkling quality, presented by Dimbleby ‘and friends’ who include Malcolm Edmonstone on a defiant version of Jackson’s “I’m Gonna Live the Life I sing About in my Song”, and The London Quartet on the sparklingly humorous “Everybody Eats When They Come to my House”- a number that rings with Lee-like inflections. Love Comes Again is a celebration of great song-writing, selected by a singer who is completely at ease with the material. The mood shifts eloquently from regretful shades of blue (“Hello Always Ends in Goodbye”) to that poignant plea for compassion, “Be Not Too Hard”, and on to the gloriously swelling cynicism of MacColl’s “England 2 Columbia 0”. In Dimbleby’s hands, this tango ballad becomes a triumphant anti-torch song. The penultimate track, “O Come All Ye Faithful”, is not the carol but a rich, complex look at the human condition with music by Dimbleby herself. Fabulous.